Indian Navy, Chief Inspector of Naval Armament(CINA). Shri S. Somanath is a “Distinguished Scientist” grade officer and currently the Director of Vikram Sarabhai Space Centre (VSSC), Thiruvananathapuram, the lead Centre responsible for all launch vehicle programs of ISRO. Till June, 2015, he was the Associate Director (Projects) of Vikram Sarabhai Space Centre (VSSC) and also the Project Director of GSLV Mk-III Launch vehicle. Under his leadership as the Project Director, the first Experimental flight of LVM3-X/CARE mission was successfully accomplished on 18thDecember, 2014. He joined ISRO in 1985 and was a team leader for Integration of PSLV during its early development phase and during the first flight of PSLV and the successful second flight PSLV-D2. As Project Manager he handled areas of mechanisms, pyro-technique systems andsatellite launch service management. He conceived and executed the first time launches of commercial mini satellites and developed small satellite mounting and separation systems which have successfully deployed many commercial satellites. He joined GSLV MkIII Project during 2003 and was the Deputy Project Director responsible for Overall design of the vehicle, Mission design, Structural design and Integration. He became the Project Director of GSLV Mk-III from June 2010. He has been the Deputy Director of the ‘Structures’ Entity in VSSC and also the Deputy Director of ‘Propulsion and Space Ordinance Entity’ in VSSC till November, 2014. After taking charge as the Director, LPSC in July 2015, he led the team of LPSC to realize Indian cryogenic stages for four successful missions of GSLV and eleven successful missions of PSLV with the liquid stages realized by LPSC. Fifteen successful satellites were also launched using propulsion systems supplied form LPSC. The development of CE20 cryogenic engine with 20 ton thrust and C25 stage was completed and GSLV Mk-III-D1 successful flight was accomplished. He is giving leadership for the development of 200 ton Semicryo engine for future Launch vehicles, throttleable engines for lander craft of Chanradrayaan-2 and high thrust electric propulsion systems for future all Electric propulsion satellites. Shri Somanath is an expert in the area of system engineering of Launch vehicles. He made contributions in PSLV and GSLV MkIII in their overall architecture, propulsion systems, structural and structural dynamics, separation systems, vehicle integration and integration procedures development. Shri Somanath took his B. Tech in Mechanical Engineering from TKM College of Engineering, Kollam, Kerala Universitywith a 2nd Rank from the University andMasters in Aerospace Engineering from Indian Institute of Science, Bangalorewith specialization in Structures, Dynamics and Control with Gold Medal. Sathyabham Institute of Science & Technology conferred Doctor of Science (Honoris Causa) in July 2018 for his outstanding contributions in the system engineering and design of launch vehicles. He received the ‘Merit Award” and ‘Performance Excellence award’ from ISRO and a ‘Team excellence award’ for GSLV Mk-III development. He received in 2018, the “Janasewa Award 2018” instituted by Sivaparvathy Cultural Society, “Marthoma Educational Technical Training & Research Centre Award-2018” instituted by Marthoma college of Science & Technology, “Lifetime achievement Award instituted by TKM College Trust, Kollam and “Platinum Jubilee Award” from Aerospace Department of IISC, Bangalore.He is the recipient of the ‘Space Gold Medal’ from Astronautical Society of India and a Gold Medal from IISc, Bangalore for his Master’s Programme. He is a Fellow of Indian National Academy of Engineering (INAE),Fellow of Aeronautical Society of India (AeSI), Astronautical Society of India (ASI)and a Corresponding member of International Academy of Astronautics (IAA). Shri Somanath has widely travelled as delegate and representative of India in UN-COPOUS at Vienna, International Astronautical Federation (IAF)’s International Program Committee &Spring meetings at Paris, International Astronautical Congress (IAC) at Hyderabad (2007), Prague (2013), Jerusalem (2015), Mexico (2016) and Adelaide (2017). He is a member of the Technical committee for Space Transportation and also International Project/Program Management Committee of IAF. He has published papers in journals & seminars in the area of structural dynamics and control, dynamic analysis of separation mechanisms, vibration & acoustic testing, launch vehicle design and launch services management. 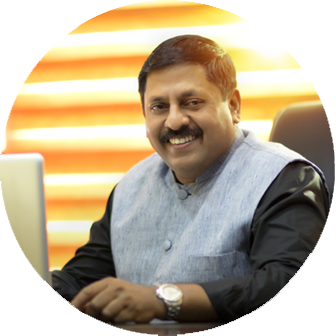 Tejas Sura is the founder and managing director of Cubic Turnkey Private Limited, with 25 years of construction project experience with multinational organizations. His strategic leadership and oversight with strong focus on customer centricity has ensured 100 percent referral business and growing shareholder value. Integrating his passion for the value of project, program and portfolio management (PPPM), he utilizes a PMO framework and sound financial planning. He erstwhile led Conart Engineers Ltd., an Indian publicly listed company, as managing director, implementing international best practices and growing the company revenues exponentially. Mr. Sura has been an enthusiastic volunteer and served PMI for 20 years in various capacities including founder, vice president/finance, president and advisor for the PMI Mumbai Chapter, region mentor (South Asia), Chapter Member Advisory Group (MAG), and International Standards Organization (ISO) MAG. He has volunteered for the PMBOK® Guide and Construction Extension to the PMBOK® Guide, and is a recipient of several honors, including PMI leadership awards. 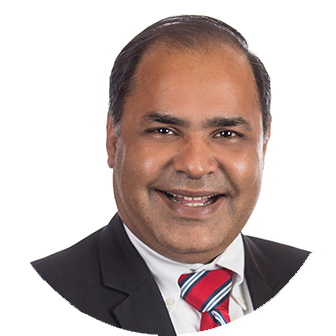 He was the head of the Indian delegation for the ISO Technical Committee for PPPM and has been a volunteer officer for American Society of Civil Engineers and Rotary Club of Bombay West. A seasoned speaker, he has presented at PMI Leadership Institute Meetings, global conferences, regional and chapter meetings on topics such as leadership, finance, and project and program management. He advances the profession as a visiting faculty for leading graduate schools in Mumbai. Mr. Sura enjoys the multicultural team environment, having worked on projects in North America and Asia Pacific with diverse stakeholders. While volunteering, he has lead globally distributed teams. A graduate of The University of Texas at Austin with a master’s degree in civil engineering, Mr. Sura also holds an MBA in finance. In addition to his PMP® and PfMP® credentials, he is a graduate of the PMI® Leadership Institute Master Class of 2010. Mr. Sura lives in Mumbai, India and enjoys his family, travel and music. • Accomplished, performance driven professional and a proven leader credited with pioneering innovations in Film, Media Maritime and Medical industries. • India’s first Hollywood director with mainstream Oscar entries. Tiffany Brar, a born fighter, did not let her disability stand as a hindrance in her moving forward. She became blind due to the sheer negligence of a doctor, soon after birth. Though her parents tried to rectify her condition, it was to no avail and she strongly believes that it is for a purpose that she is visually challenged and her disability is a way to bring possibility for others like her. She studied for her prime years in Great Britain, after which she returned to India and pursued her schooling. It was the discrimination and segregation she met on account of her disability, that instilled in her a drive and a determination to change the plight of her fellow blind brothers and sisters. She being forcefully made to sit at the back of the class and not being allowed to participate in sports, only made her more determined to make a change. She is a motivational speaker, a special educator, a social activist, ever ready to raise her voice for her community and for other disabilities as well. She has travelled far and wide and due to this has a good command over six Indian languages. Despite all hurdles and challenges on account of her disabilities during her education, she was able to score the highest marks in the CBSE board examinations, in comparison to her sighted counterparts. She completed her Degree in English Literature from Kerala University and then her Bachelor’s in Education in special education from Rama Krishna Mission Vivekananda University, Coimbatore after which she began her career as a receptionist. She then went on to visit many blind people and found out that they were all back benchers and even tied to their beds. She immediately wanted to put her skill to action and started a mobile blind school, which follows the motto that “if blind can’t go to school, let the school go to them”. She went to many homes far and wide throughout the state of Kerala in public transport training the blind that were confined within their four walls in mobility, confidence, communication, daily living skills, Braille, access technology and so on. 29 Year old, Vinod who had been stuck within his home for his entire life, without even a glimpse of the threshold of a classroom, came under her wings and after which he acquired wings of his own. He became an access technology expert; he became mobile and travelled independently. He is now a trainer in access technology and a sound editor and has become a bread-winner of his family. Hanna once shy and timid, now after being trained by Tiffany at Jyothirgamaya, is now able to use a computer, composes her own songs, gives motivational talks to others and is good in her studies and will soon be writing her exams on a computer. Tiffany as a lover of independent travelling and adventure has broken the barriers that girls can’t do sports, especially those who are blind by proving the society wrong. She has done sky diving, paragliding, tandem cycling, rope climbing and a lot more. She has encouraged her students to do tandem cycling and rope riding to and always takes them on adventure trips. Her organization has played an integral role in empowering the blind and blind women empowerment. The President himself addresses her as “THE COURAGEOUS DAUGHTER OF INDIA”, at his address to the country at the United Nations International Day for Persons with Disabilities in December, 2017 where he also presented her with the “National Award for the Best Role Model”. 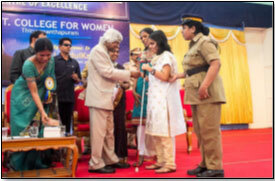 Her efforts have also received felicitation, from the renowned Late DR.APJ.Abdulkalam. Shri Mohanlal, one of Kerala’s most renowned actors, calls her “A MIRACULOUS WOMAN”, in his talk show Lalsalam. She has also been appreciated by the famous Bollywood director Omung Kumar, actor Vivek Oberoi and actress Huma Khureshi, on the occasion of the enactment of her story on Zee TV show, INDIA’S BEST DRAMEBAAZ, where she also received the “Real Hero Award”. She is one of the only blind women In India who has delivered five Ted talks on a variety of thought provoking subjects and she is going to deliver her sixth soon! She has delivered an insightful talk at the European parliament in Brussels, and has participated in their panel discussion on accessibility. She is the only blind woman in India, to reach such heights. She has been trained by the “Mobility International USA” in leadership and women’s empowerment. She has also been trained in echolocation, a unique aspect of mobility and navigation by “World Access for the Blind”. She has conducted many sensitization sessions in India as well as in Nepal, Poland, Germany and Belgium. She believes that there is nothing a blind person can’t do except driving a car and that soon shall be achieved at some point!. As an activist, she has raised her voice for her community, in trying to make the currency notes accessible for the blind. She sensitizes companies to make web content accessible according to the web content accessibility guidelines. She has also participated in the “National Consultation for Inclusive Elections” and always advocates inclusion. She favours inclusive travel and tourism and has given her valuable inputs to the tourism department to make tourism accessible and barrier free. She has many awards and accolades to her credit. • In 2012, she received the Kerala State Award for Social Worker. • In 2015, she received the Women of the Year Award from Hope Trust. • In 2016, she received the For the Sake of Honour Award, Rotary International's highest award. • In 2017, she received the Bold and Beautiful Award from Doordarshan. Tathagat is an Ex-Defense Scientist, Antarctic Researcher, Software Executive, Product Leader and Technologist with 27+ years’ experience building organizations ground-up and shipping multiple "1.0" products (revenue impact over US$ Billion+) with Fortune 500 companies and start-ups. Currently building and leading NerdWallet India operations from scratch. Tathagat is a recognised thought leader, prolific speaker, visiting faculty, start-up mentor and published author in agile product development, lean start-ups, design thinking, entrepreneurship, people, teams and culture, leadership, etc. 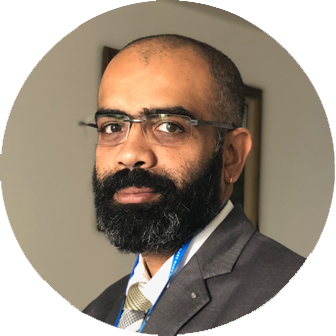 Rajagopal is the director of the WHO Collaborating Center for Policy and Training on Access to Pain Relief at Trivandrum Institute of Palliative Sciences (TIPS) and the founder-chairman of “Pallium India”, a charitable trust. His initiative led to the development of a Government policy on Palliative Care in the state of Kerala in 2008 and to a National Palliative Care Strategy (National Program for Palliative Care) for India in 2012. He and his colleagues founded the Pain and Palliative Care Society (PPCS) in Calicut in1993. In 1995, this was declared a WHO demonstration project and grew to the present Institute of Palliative Medicine and a network of palliative care centers in the state of Kerala reaching more than 50% of the needy in Kerala compared to the national average of less than 1%. He worked with the WHO Collaborating Center at Pain and Policy Studies Group (PPSG) in Madison-Wisconsin to remove regulatory barriers in availability of opioids for pain relief in India. This collaborative work resulted in the Government of India asking all its state governments to bring in an amendment of narcotic regulations. Implementation of this required state by state advocacy and opioid availability workshops. He also led a research project in PPCS involving all of 1723 patients receiving oral morphine from PPCS over a 2 year period and established how it could be used safely without abuse or misuse for domiciliary care. The results published in the Lancet became a major tool in convincing decision makers. Finding that over a 15 year period, only 17 of India’s 28 states had adopted the simplified rules, his colleagues and he pushed for changing the Narcotic Drugs and Psychotropic Substances (NDPS) Act of India of 1986. In February 2014, the Indian Parliament passed the Narcotics Amendment Act which is now getting implemented. 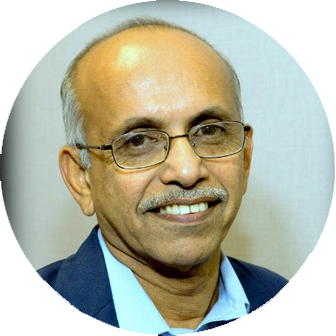 Rajagopal is member of Government of India’s technical advisory groups on Non-Communicable Diseases and on Palliative Care, a life time advisor to the International Association for Hospice and Palliative Care (IAHPC) and a commissioner at the Lancet-Harvard Commission on Global Access to Pain Relief and Palliative Care). 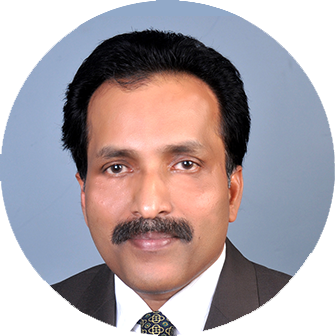 He is a member of the governing council of Kerala University of Health Sciences. He is on the editorial board of several international journals and has authored/edited two textbooks, several book chapters (including Oxford Textbook of Palliative Medicine) and more than 35 publications in scientific journals. He is a member of the ad-hoc expert advisory group on palliative care of WHO, works with the Access to Essential Medicines program of WHO, and with India and SEARO offices of WHO. He is a member of the International Experts’ Committee of the WHO Collaborating Center at Madison-Wisconsin. He won Alison Des Forges award from Human Rights Watch for extraordinary activism in 2014, award for excellence in pain management from the International Association for Study of Pain (IASP) in 2009 and the Marie Nyswander award of 2009. Subramanian Narayanan is a mechanical engineer with 20 + years of experience in automobile industry. He has worked in USA for a period of 9 years followed by Germany and China and finally now in India with HELLA, a world wide leader in automotive lighting. 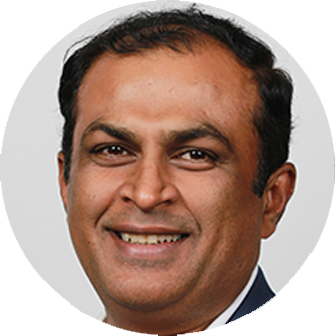 He is currently heading the Program Management of Lighting Business in India and has been working with all the major OEMs like Daimler, BMW, VW group, FORD, Renault-Nissan and other Indian automotive OEMs as well. He took up walking due to health reasons where he reduced 45 kilos in a period of 5 months simply by walking 40 kms daily. He also got attached to an NGO Drive smart drive safe (an NGO on road safety by HELLA) where he decided to walk from Kanyakumari to Kashmir through one of the busiest roads to promote pedestrian safety across india and also study Indian road infrastructure. He did the walk uniting different road safety organisations across Kerala, Karnataka, Goa, Maharashtra, Gujarat, Rajasthan, Haryana, Delhi, Punjab, Chandigarh and Kashmir and culminated his Walk in 51 days. The walk concentrated on collection walk donation in steps and though the original target was 1 crore steps the walk culminated with 131 crore steps. He still Continues to walk and also uses cycle to commute to work to promote economic friendly and healthy alternatives for commutation. He has received an honorary doctorate degree in social work for his services to the country and is closely associated with various NGOs and other transport related government organisations like ACMA, SIAM, FICCI, MORTH etc. Val is an Expert in Defining, Assessing and Managing Behaviours, doing business in UK and USA for 15 years, and in India for 18 years. A post Graduate in Education and Psychology, of British origin, she is the Founder of ‘Talent Makers’. Educated in the UK, Val has been a member of the British Psychological Society since 1995, is a holder of Level 1 & 2 Certifications from EFPA (European Federation of Psychologists Associations) and is a Delegated Assessor in India for delivery of Training certified by Psytech International UK and British Psychological Society. 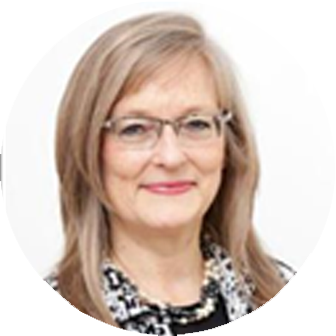 Val has worked with more than 50 established companies, including Barclays, Ford, Novartis, Wipro, Herbalife, Maruti, Ciyent, Vedanta Group, and many more. She specialises in behavioural approaches to traditional problems such as Team working, Problem solving, and Performance Management. 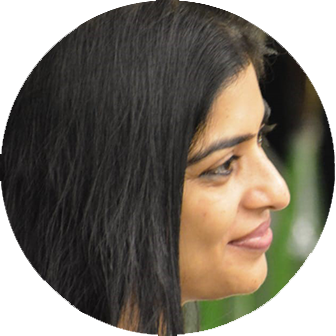 In addition to her work with Corporates, Val is a subject matter expert in Psychometrics and Assessment for The Chopras, bringing professional Career Counselling Tools and techniques to enhance the organisations’ ability to mentor students on their career path. “I personally would not hesitate to recommend Val Gray to any organization for any AC or DC related assignments.” Rajesh Mehrotra, Executive Vice President (HR) at Godfrey Phillips India Ltd.
Visit www.talentmakers.in or Val’s Linked in Profile for more details. Anita Peter is known for being driven by Passion and never by success. To her 'A profession should be earning through something you can connect with; that you have passion for'. She is known for being a woman who is able to equally balance her home, profession and passion along with contributing to society through awareness programmes, writing articles, poems and also a speaker. Anita Peter is the CEO and principal facilitator, Persona Script, a leadership skills development and design firm. She is also the founder of LasyaDrutha, centre for performing and fine arts, foundation. She breaks barriers by being a motor biker and a classical dancer (Mohiniyattam). With over 20 years of experience in the field of training and facilitation, her focus is on developing processes and modules that bridge the gaps in learning and application of the same. She has trained people across industries and corporates and also facilitates the social cause 'I-pledge Awareness for change' which is gaining momentum slow and steady. She has spoken at several forums including TEDX, start up summits, E- Summit, TGTF (The good talk factory) and so on. 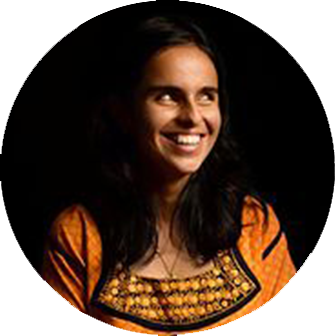 She completed the Kashmir to kanyakumari along with a group of 4, initiating the I-pledge Awareness for change. Today the awareness programme has gained momentum with focus on students in schools and colleges. Anita now has started solo motor bike riding and travelled from Hyderabad to Kerala and back. Anita is an english theatre actor, has acted in two Malayalam films, two television serials and has been a model for several print and television ads. She was one of the top ten finalists for Gladrags Mrs.India. Her forte - "Connecting with her audience bringing about a positive progressive change in thought". To her both Success and Failure should be welcomed equally. Her greatest success is that she has done all these being a mother of a 18 year old girl and a 14 year old boy. She believes time well planned gives enough time for one to complete and pursue anything. It's all about the right attitude and perseverance. 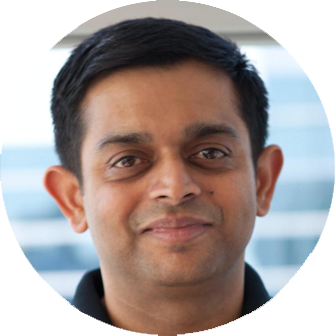 Prakash Ramachandran is the CTO of Think and Learn Pvt. Ltd. (Byju's) since 2015 October. In Byju's he led the development of various products including Byju's the learning app, from launch to scaling to 33 million users. He has also worked in Zynga India, where he helped working on infrastructure and tools to help scale the games like farmville, rapidly for millions of users a day. He also worked as a Game CTO for various zynga games. 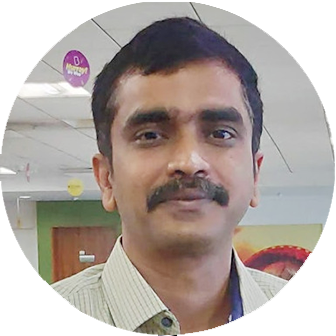 Prakash has worked in other various companies like Hortonworks (Hadoop stack), HP (HPUX OS), C-DAC (OS and networking for PARAM 10k supercomputer). Prakash did his B Tech from Model Engineering college, Cochin. He lives in Bangalore with his wife and 2 kids. He loves travelling, and learning physics and math. Head of Solution Delivery and Operations for Consumer business unit. Responsible for overall customer satisfaction of the business unit. Worked with customers in Retail, Consumer Goods, Logistics, Financial service providers and Media industry segments. Lead customer engagements and built delivery teams for successful delivery of large and transformation programs. Worked in US, Paris and Hong Kong in various roles setting up distributed delivery models. An IIM-B alumni post an Engineering degree in Computer Science, is involved in activities propagating Inclusion and Diversity. Cdr. S. Sanooj was commissioned in Indian Navy in 2001. 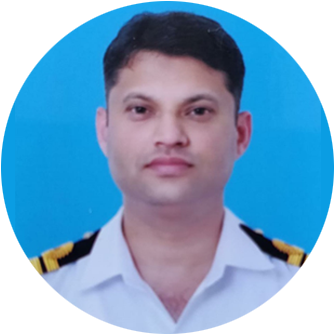 He is presently posted in Naval Armament Inspectorate, Thiruvananthapuram as head of unit, designated as Chief Inspector of Naval Armament(CINA). He completed his BTech in Mechanical Engineering from Calicut University. He did his M Tech in Reliability Engineering from Indian Institute of Technology, Kharagpur. The officer has over 18 years of experience in quality assurance of Naval Armaments. He has been awarded with Chief of Naval Staff commendation in Aug 2018 for devotion to duty and was also facilitated by Hon’ble Chief Minister of Kerala, Shri. Pinarayi Vijayan for his contribution in rescue and relief operation during unprecedented Kerala Flood in Aug’18. The officer has vast experience in disaster management and was involved in rescue and relief activities during cyclone Hudhud, cyclone Ockhi and Kerala Flood in Aug 18. During cyclone Ockhi and Kerala flood in Aug 18, Cdr. S. Sanooj was posted in Thiruvananthapuram as nodal point and coordinator between state agency and the Indian Navy.